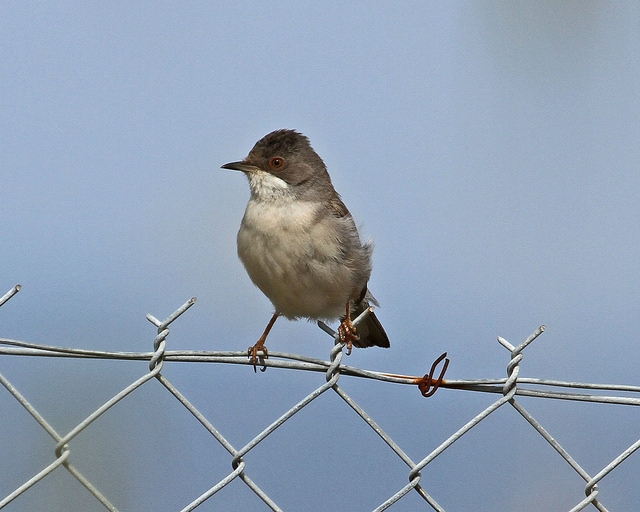 The Ruppels Warbler is unmistakable by its black throat. It also has a white stripe on the cheek and a red ring around the eye. It breeds in Greece and the Middle East.